[2017/04/25-27] 李涛老师应李贵新教授邀请访问南方科技大学，并作研讨会报告"New approaches of achromatic metasurface and mulitplexed SPP holograms". [2016/10/24-29] 王雨淋参加了在台北"国立"台湾大学召开的第九届海峡两岸光电科技博士生论坛，并作口头报告"Composite interference and phase-insensitivity in waveguide system". [2016/10/12-14] 李涛老师参加在北京召开的SPIE: Photonics Asia 2016，并作邀请报告"Plasmonic interference for classical and quantum logical gates". [2016/08/08-11] 李涛老师参加了在上海召开的国际会议PIERS 2016，并做题为"In-plane Holography for Inde nite Plasmonic Beam Engineering"的邀请报告. [2016/08/05-08] 王漱明老师参加在兰州召开的第17届全国量子光学学术会议，并作了题为"Demonstration of quantum controlled-NOT Gate based on plasmonic qubit"口头报告. 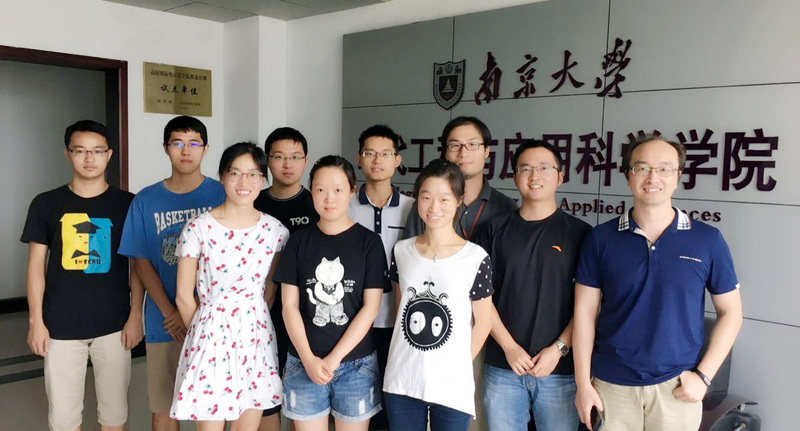 [2016/07/25-29] 王漱明老师和陈绩参加在北京召开的The 6th International Multidisciplinary Conference on Optofluidics. 王漱明老师做了口头报告 "An ultra-compact polarization-encoded quantum controlled-NOT gate based on hybrid waveguide". 陈绩做了墙报“Demultiplexing vortex beam into surface plasmon wave by well-designed gratings”. [2016/07/25-29] 李涛老师和王雨淋参加在西班牙马拉加召开的国际会议Meta 16。李涛老师做了邀请报告 "Plasmonic vector near-field for composite interference, SPP switches and optical simulators". 王雨淋做了墙报 "Composite interference based plasmonic switches and logical gates". [2016/07/17-20] 李涛老师参加 在上海举行的国际会议CIOP 2016并作邀请报告"Plasmonic interference for classical and quantum logical gates".